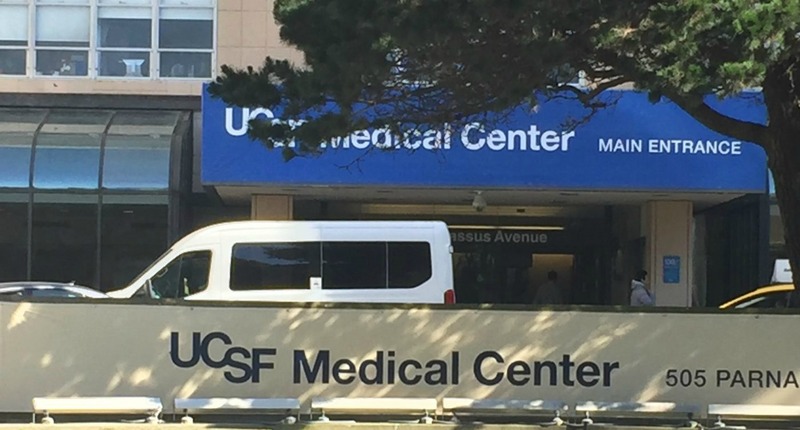 Last week, I had my first appointment with the lung transplant team at the University of California, San Francisco (UCSF). Last month, I wrote a column about the team’s decision to meet with me. This first appointment went very well, better than expected! Praise God! My husband, myself and another couple attended a patient education session to start the day, to learn about the lung transplant process. It was very well done and informative. They went over what would happen the rest of the day, as well as the evaluation process in general. There will be an initial meeting with a transplant pulmonologist. There might be additional meetings with a transplant coordinator, social worker, dietician and financial counselor. After these meetings, a decision is made about whether to proceed with the next part of the evaluation. If we decide to proceed, the process continues with a variety of testing to determine how sick or well I am. I need to be sick enough to need the transplant, but well enough to survive and recover from the surgery. There are a lot of tests to go through, some local to where I live, but most at UCSF. After completing the testing, a series of appointments with physicians will assess my candidacy, now that the team has more information. The transplant team will then discuss my case, and decide if I am a transplant candidate. If the answer is yes, the team will contact my insurance company, and let me know what will be financially covered and what won’t. It also will make sure that I am emotionally and mentally ready for a transplant. If all goes well, I will be listed on the UNOS list for lung transplantation. UNOS stands for “United Network for Organ Sharing,” and is the organization that oversees all organ transplants in the United States. After the patient education session, we met with a nurse who is a patient coordinator. She was very nice and is someone I can call if I have questions or need help with something. It was such a comfort to know I have an advocate assigned to me. Next, we met with one of the pulmonologists, who was very warm and friendly. She knew all about my case, as well as my involvement in the pulmonary fibrosis community. 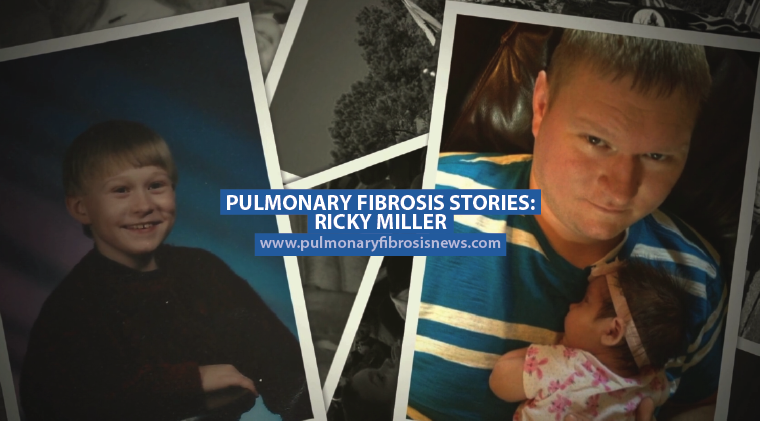 I mentioned that I write this weekly column for Pulmonary Fibrosis News, co-run a Facebook group for patients and their families, and make videos for patients. This was a huge plus for me, because the transplant team likes patients who are active, fighting for life and trying to help others. Here’s the gist of what she told me: My lung disease is serious enough to consider a transplant. They used to be strict about the five-year cancer-free rule before considering a patient for transplant. I am currently four years cancer free (breast cancer), so this waiting period has been hard for me. Recently, they decided to consider cases more on a case-by-case basis. I have never heard anyone say this … and it was such a blessing to hear! I was sure they’d tell me to come back in a year (assuming I’m still in the land of the living). The oncologist will examine all my records, and assess what kind of risk there is that my cancer might reoccur. I keep working on losing weight. Down seven pounds so far — 30 more to go. If the oncologist gives me the thumbs up, I’ll come back in three months and start some of the testing. Once I’ve completely lost the weight, the UCSF team will do the rest of the tests, and then make a determination if I can be put on the transplant list. It’s probably a four- to six-month process. It is a real encouragement that the team is willing to begin this process now, rather than wait 12 months to start. The oncologist may say I need to wait a little longer, but at least we are starting the process now. I’m so grateful to God for this opportunity and for a goal to work toward! I’ll keep you posted. I’d love to hear from you. Has your doctor talked to you about the possibility of a transplant? Have you gone through the evaluation process? What advice and encouragement do you have for me? Please leave a comment below, and share with those who could benefit via email or on social media. We’re in this together! Tagged education, Idiopathic pulmonary fibrosis (IPF), Lung Diseases, lung transplant, preliminary, transplant, treatment, UCSF. God Bless you , this is good for you. I have Ipf now for 4 1/2 years , not at your stage yet but struggling some..
Hi Thomas! Thanks so much for your kind words and well wishes. You keep up the good work too! Good luck, Kim. I had my complete evaluation one year ago at the University of Washington. My evaluation seems to be the same scope as yours. I was glad that the process was not sugar coated by my team they were all professional and yet caring. What impressed me about the UW team? The fact I was not a “number” in their eyes. I was a person and therefore need to be treated as such. What I wasn’t prepared for though was the physical and emotional roller coaster the evaluation causes. Yes, on top of dealing with the day-to-day rigors of IPF. Due to some liver issues caused by Hepatitis C I had to wait one year. Heptology testing is scheduled February 26th. Everything else seems to be OK at this point although my BMI needs to be reduced by one point. Wishing us both strength and positive outcomes. Hi Debbie, Thanks so much for your prayers and well wishes. I progressed rapidly because my PF was caused by chemo and radiation for breast cancer. I was referred to the transplant team when I was on 4 lpm. They turned down even talking with me for 2 years because of my history of cancer. I’m 61, and am using 8 lpm. I would encourage you to ask your doctor when it will be appropriate to refer you to the nearest hospital who does transplants. Let’s hold on tight together! I wish you luck. Was diagnosed a year ago. I still have a lot of weigh to lose. Have reached a wall. Already lost 25 lbs, still need 40. My doctor wants me walking 7000 steps a day. I was only able to do 3000 during the summer. Now I only do 1500 if I’m lucky. Have been sick with colds since before thanksgiving. It’s been brutal. A lot of coughing, dry heaves, bathroom accidents. Not having bad breathing problems yet. I am getting anxiety going out in public, stairs freak me out just looking at them, having to maybe tell someone in the that I’m tired and can”t walk out. Dropping groceries in parking and having to find a stranger to pick them up (which has already happened). My mother has Alzheimer’s and I can’t help with that any more. Which I did without a problem a few months ago. I guess I need to set my goals to get better and concentrate on losing the weight. I really wish you luck and thank you for sharing. I forgot to say that I am 62. Hi Martha, I’m so sorry you are having such a hard time. Is your pulmonologist aware of how your functioning has decreased so much? Are you using supplemental oxygen. I’m concerned for you. I’d encourage you to talk to your doctor and maybe even get a second opinion. It is so hard when we have to keep adjusting to do less and less. Congrats on losing 25 pounds! That’s amazing. Lets just keep going a day at a time! Just said a prayer for you. My wife and I went to IAN in Birmingham AL and went through the initial process and at the end we met she the oncologist and it was not a good experience. We will most likely go to Oshner Clinic in New Orleans when the time is right. At this time my wife does not want to do the transplant. Dear Kenny, So sorry you had such a hard time at IAN. This whole process is so hard. Your wife is so blessed to have you in her corner. Excellent post and I pray God will hold you thru this and keep his comforting arms around your precious family. I too have IPF and at my age, 64, most likely won’t be a candidate for a transplant, but, God gets me thru every day just as He does us all. Keep updates coming and I’ll definitely keep you in my prayers. I’m so glad my column was helpful. Like you, my faith strengthens me and gives me enough strength for each day. FYI, 64 doesn’t necessarily rule you out for a transplant. Thanks for your warmth and prayers. So appreciate it! Your age at 64 will have nothing to do with it I am 64 I just had my transplant. The 20 tests you have to take to qualify you for transplant with be the question. When I was in ICU there was a women next door to me 77 years old had double lung transplant and was up walking around 4 days after transplant and on main floor out of ICU. It took me 1 month 1 day ( I had issues). Your BMI has to be under 30. Thanks so much for sharing about what it was like for you to go through the evaluation process. So sorry that getting to MGH was so stressful. You encouraged me so to hear that the cardiac cath wasn’t that bad. That’s good to hear! I feel mixed about organs being more readily available because of the opiod crisis. Such good news for all needing transplants, but so very tragic for those lives lost. So appreciate your well wishes and encouragement. I pray you remain stable for a long time. So glad you are already in the loop for a future transplant. Thanks so much for reaching out with your prayers and very kind words. So appreciate it!!! I too went through the process and had my transplant done at UCSF they are the best. I just got out and went home week a go. I did my rehab at Roseville for the last 4 years went to every seminar in area to gather info and support group for IPF in Sacramento Through UC Davis Held at Sutter downtown hospital once a month. UC Davis for clinical trial. IPF is not a death sentence there is hope through transplant do not wait do your work ups early. Hi Doug, Congratulations!!!! Your comment was so encouraging. I’ve been to a seminar at UC Davis too and have found them so helpful. I’m doing all I can too, and am hoping for a successful outcome. Your experience encourages me so! Wonderful! I’m glad to hear all this. Wouldn’t it make sense to find out what costs your insurance doesn’t cover and what you will be responsible for. If the ongoing costs of the drugs and any kind of setbacks that require hospital stays leaves you bankrupt, then you need to consider this carefully. Good luck on your journey. What you are saying makes sense. In my case they want to make sure I am even eligible to go through testing before we meet with the financial counselor. I will request this appointment before we go any further. Thanks for sharing such an important point. You can run fundraisers to help with cost. 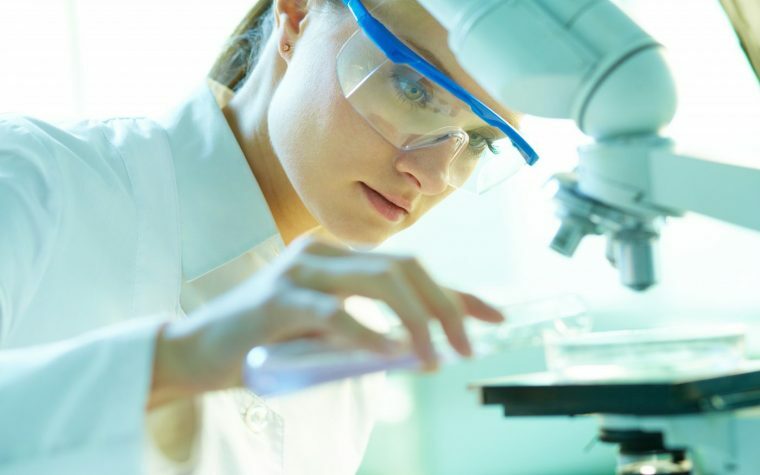 The hospital you go to will have options of organizations to help you with that like NFT is one. Your insurance depending on who you have will cover maybe like mine did a $100.00 a day for hotel stay since after transplant you have to stay in area 15 minutes away from hospital for 6 weeks and tell hotel you want like UCSF rate or what ever rate your hospital has to offer to help with rate. As far as meds my cost with insurance ran $388.00 to start my co pay $10.00 they will change your meds quite often start off with a lot then taper down. Thanks so much for sharing your wonderful transplant story. I’m so delighted it has given you a new life full of blessings! Thanks so much for sharing honestly about the recovery process. SO HAPPY for you! Your experience gives me hope! My husband is 73 and just recently went on oxygen. We were at duke a few weeks ago and will return. Wanted to get in their system early.they are 16 weeks but I also read the opioid crisis has made more organs available. Hi Toni, I’m so glad he got the go to start the process. Just said a prayer for both of you. Best Wishes. Perhaps my story will help: I was diagnosed with IPF near Christmas, 2005. I was quite stable for 9+ years but started needing oxygen in 2015. I used small bottles of oxygen and took pirfenidone (Esbriet) until about June, 2016. The wife and I were planning our 50th anniversary celebrations and the medication was making me very tired. I was losing weight (170 down to 160). I went off of it and immediately got my energy back. In the meantime, I bought a portable oxygen concentrator so I could fly to a cruise we had planned and used it only for the entire 3-week trip. I decided after Christmas of 2016 to try for a lung transplant at the suggestion of my pulmonologist. I was just short of 75. UCLA turned me down as “too old” but I was referred to Cedars-Sinai and they accepted my candidacy for a single lung transplant. At this point, people were praying for me to get a new lung and word got around. People in my Sunday School, kids and teachers in Child Evangelism Fellowship, Grace Club (ministry to the disabled) my church at large, and assorted friends and relatives were recruiting people to pray. Two weeks (to the day) after the second “dry run” I got the third call (the charm) and the lung was installed on November 8, 2017. I was 75 years 6 months at the time (Moral: Age is not necessarily a barrier). After nine days in ICU, two weeks in step-down and ten days in rehabilitation, I now have a new lease on life. As of 2/8, I have completed my third month after surgery and feel very good, and my latest spirometry results were rated as “fantastic!” I work out in a gym 1-2 times per week with a trainer and it has helped out with regaining weight and strength. Last Sunday, I took the stairs to the third floor instead of the elevator to get to my Sunday School. This Sunday (2/25), I did the same, only faster. I now take three anti rejection drugs and 7 other medications to deal with their side effects plus vitamins and calcium for general health. All in all, I traded IPF for problems I could live with. Also I am walking evidence that God answers prayer. P. S. It was no picnic in the hospital and I can supply the gory details, if you wish.